Fun fact: I do not like raisins. Not even a little bit. I do, however, very much like oatmeal cookies. They’re chewy and cinnamon-y and just plain yummy. 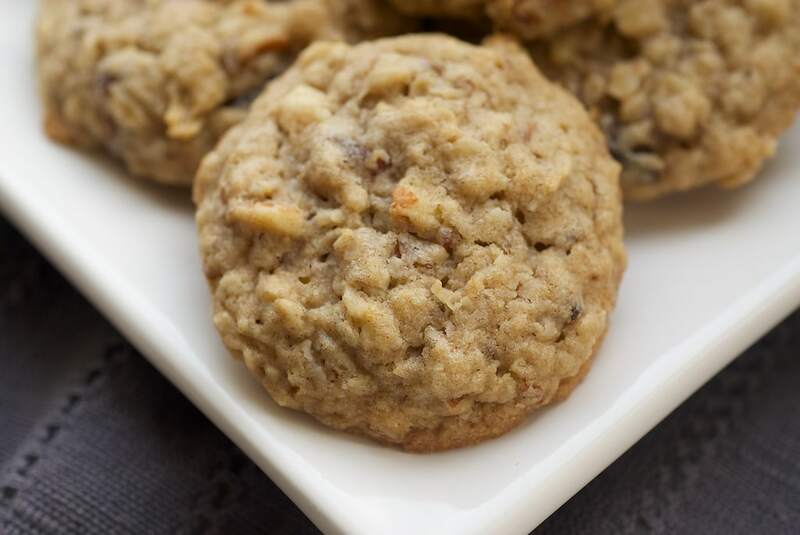 Of course, oats and raisins have long been joined together in cookiedom, so finding oatmeal cookies without raisins is usually a challenge. 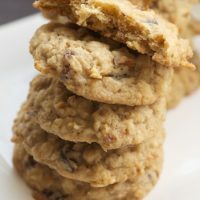 So, I usually make my own oatmeal cookies, substituting something like dates or currants for the raisins to make them more me-friendly. I made these cookies just after Halloween and sent them to work with Quinn. The consensus was that they were a nice break from the sweet overload of the previous days. I have to agree. They are just sweet enough. Plus, they have that hint of cinnamon working for them. 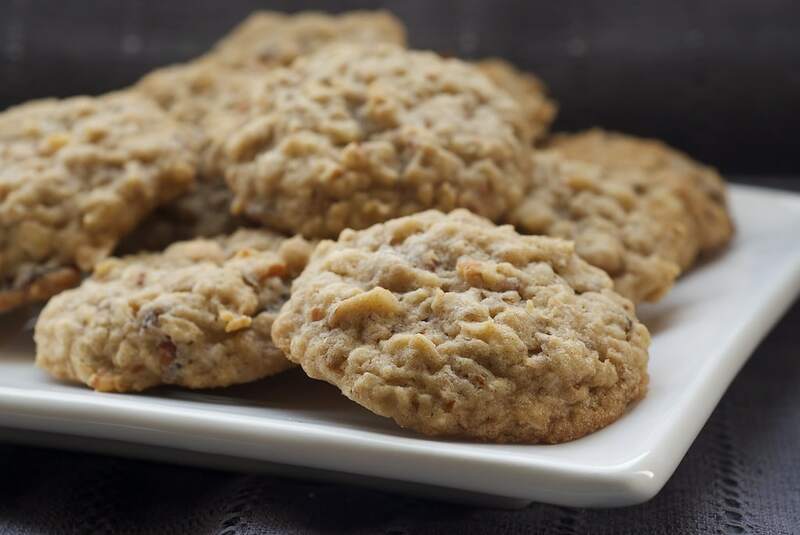 I also added almonds to these, and I really like the extra flavor and the little bit of crunch they added. I don’t think I’m alone in my anti-raisin stance. I once went to a cooking demonstration given by Alton Brown. He said that to make the best raisin-containing cookies, measure out the raisins, throw them out, and substitute an equal amount of chocolate. I’m sure these cookies could be made with raisins instead of dates, but I’ll have to depend on some of you to determine that for sure. Using an electric mixer, beat butter until smooth. Add brown sugar and granulated sugar, beating until smooth. Add eggs, one at a time, mixing just until incorporated. Beat in vanilla. In a separate bowl, combine flour, oats, dates, baking soda, salt, and cinnamon. Add flour mixture gradually to butter mixture, mixing just until combined. Stir in nuts. Drop dough by tablespoonful onto ungreased baking sheets. Bake 12-14 minutes, until golden brown. Transfer cookies to wire racks to cool. Cook time is per baking sheet.